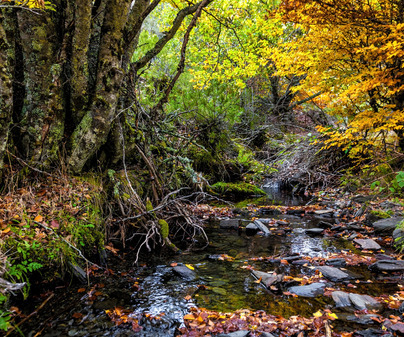 Conserved in an exceptional microclimate and integrated in the Sierra Norte de Guadalajara Natural Park , we find the last beech area in the south of Europe. The Lillas and Zarzas rivers, which rise from La Buitrera glacier, feed it. The forest grows in two valleys flanked by high and sharpened rocky crests. 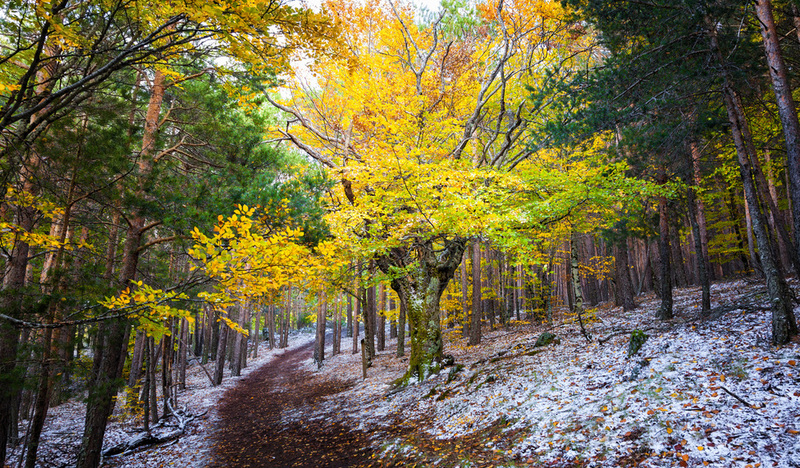 The beech forest, its greater attraction, has a tale atmosphere for its coluors, the moss of the soil and the silence. In addition, Pyrenean oaks, pines, yews, hollies and birches grow here. TheBoletus Edulisgrow in its soil and its sky is ploughed through by the golden eagle over European roe deer, foxes and wild boars. 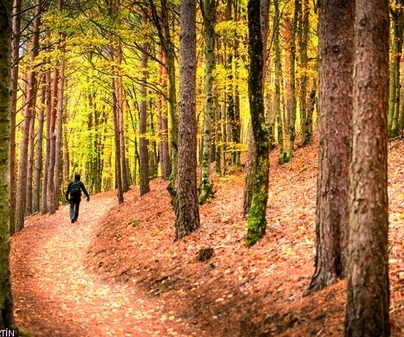 There are two circular routes to make on foot: the "Senda de Carretas" and the "Senda del Robledal". There is also a circular route for bikes that reaches Zarzas river. We can also find a “Centro de Interpretación”(Observation Centre). In case of making the route "Senda del Robledal", which leaves from the Observation Centre, it is not necessary to make a reservation in any case. 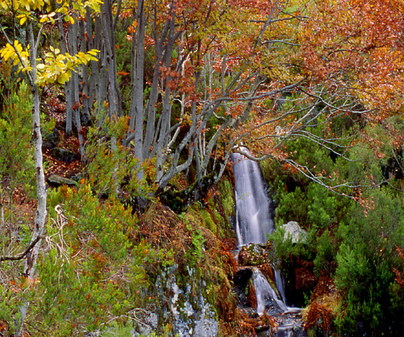 Accesses to Cantalojas from Madrid by the A-1 Highway to pk 103, take the turnoff N-110-Riaza and CL-114-Ayllón. From Guadalajara by the CM-101 to Fontanar-Fuencemillán, CM-1001 Humanes-Cogolludo, CM-1006 Veguillas-Galve de Sorbe, GU-213 Cantalojas. 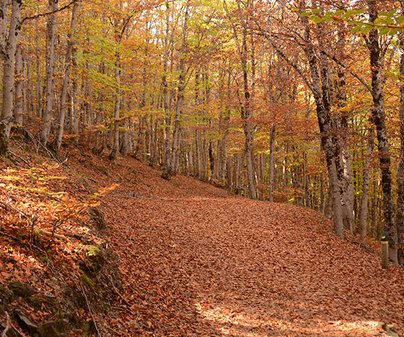 The autumn paints the beech area with hundreds of red ocher tonalities and fills its ground of mushrooms. Not advisable in winter due to the snow for two or three months. Taking your camera is a must.